iPhone 5 launch set for October? Still a while to wait, folks. The next-generation iPhone 5 is being mooted for an autumn launch, following on from the October launch of the iPhone 4S last year. The report comes from an unnamed source reporting to Japanese website Macotakara, who confirmed that Apple's next iPhone would launch in the fall of 2012. Before the iPhone 4S Apple had a habit of releasing its phones in June or July, but the trend was bucked in 2011 and the Cupertino-based firm looks set to carry on this new product cycle. Can you hold on until September/October? We expect the iPhone 5 to be a total revamp of the brand instead of the minor upgrade we witnessed between the iPhone 4 and 4S. The iPhone 5 is hotly tipped to pack a quad-core processor to keep it in the game against other giants such as the HTC One X and Samsung Galaxy S3. 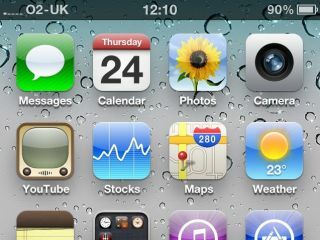 Suggestions that it may sport a larger screen seem to have be quashed for now, but expect the iPhone 5 to rock NFC technology and 4G – although the latter is currently useless to us here in the UK. Make sure you check out our iPhone 5 Rumours Update video below to get the latest gossip on the iPhone 5.